With the introduction of Instagram stories this week, the internet had a collective conniption fit over the cloning of one of Snapchat’s most popular features. Now, in addition to posting a pristine filtered photo to your Instagram timeline, you also can snap a rough selfie, doodle over it, and watch it disappear after 24 hours. Instagram didn’t even bother to alter the name, and its CEO doesn’t seem embarrassed about it. “You’re going to see stories pop up in other networks over time, because it’s one of the best ways to show visual information in chronological order,” Kevin Systrom explained to The Verge. In Systrom’s eyes, just as Facebook popularized the idea of the feed, Snapchat created a novel way of helping people communicate using slideshows. So copying the feature is just part of staying competitive. Of course, Facebook has copied Snapchat many times before, with apps like Slingshot, Poke, and Riff, all of which were shuttered after failing to catch on. Yet never before has the company so brazenly copied a core Snapchat feature and implemented it into one of its most popular products. This time around, Facebook’s efforts may pay off. Compared with Snapchat, Instagram is more intuitive for first-time users, and so is its stories feature. Granted, a superior visual aesthetic and more user-friendly navigation doesn’t automatically translate to more sharing. Snapchat has proven that you can hand a teen a gnarled mess of features and they’ll figure out how to master them, so long as their friends are on the network. But if Snapchat wants to keep growing, it faces a new obstacle: a bigger competitor, with a more inviting interface, has cloned its chief innovation. And that gives people around the world, particularly in foreign markets where Instagram is better established, one less reason to ever try Snapchat. By now it’s a cliche that Snapchat is hard to learn, particularly for anyone old enough to have graduated college. That has been easy to ignore as the company added users at a rapid clip, drawn by its novel feed of ephemeral broadcasts. If parents can’t figure it out — well, so much the better for their children, who have an enjoyed having a social network mostly to themselves. But increasingly Snapchat’s insular view of design looks like a risk to its future growth. Snapchat pioneered making the selfie camera as the default app screen, which has created a culture of frequent sharing. The idea is to capture the moment first, and figure out how to share it second. This intense focus on what you’re creating makes Snapchat extraordinarily versatile; it can be used however you choose. That has turned out to be a winning formula for a generation of kids who’ve been told the internet is forever, and that anything posted to Facebook, Twitter, and Instagram can come back to haunt them. Earlier social apps have pressured users to craft a perfect versions of themselves online, quantifying their success with likes, favorites, and retweets. Snapchat alleviates these pressures, and its most confounding elements are also its greatest strengths. “I believe Snapchat benefits from its lack of polish,” product designer Bobby Goodlatte wrote back in 2013. “The roughness of the interface encourages sharing rougher (and lewder) moments of life. Your five-second keg stand video belongs on Snapchat. It doesn’t belong in a pixel-perfect ‘just so’ interface.” We’ve long since moved on from only posting drunken nights on Snapchat. The app handles every moment now, and its communication formats have only expanded with time. “SNAPCHAT BENEFITS FROM ITS LACK OF POLISH. But the flip side of Snapchat’s radical design philosophy is that it will likely never accommodate the vast majority of people. Unless you’re steeped in the internal logic of Snapchat, you’ll probably be turned off trying to navigate away from the camera or figuring out what you’re being asked to share. Again, this may be the point, but it creates an easy opening for competitors like Instagram to copy core features and serve them up to users in a more palatable fashion. Instagram’s stories are more or less identical to Snapchat’s, but with small tweaks that make the feed easier to navigate. Upon opening the app, your friends’ stories are laid out in a horizontal grid of profile photo bubbles. Tapping one shows you other users’ posts, giving you a clear example of what you can model your own posts after. In the edit phase, you’re given coloring and text options, and nothing else. Where Snapchat has four different options at the bottom of a captured photo — a timer to change the duration of your snap, saving it to your memories folder, adding it to your story, or sending it to a friend — Instagram has but two. Instagram doesn’t ask you which feed you want to post your picture on. Instead, you need to open a dedicated camera for each function. There are also clear directions, including spelled-out navigational cues like “Send Message” and “Cancel,” and straightforward iconography in each step of the process, like a large check mark to tap for when you’re done editing a story post. In other words, Instagram stories give you the freedom of Snapchat without the latter app’s sometimes confusing quirks. This difference in ease of use could pose a problem for the company as it attempts to grow into new markets. There remains the possibility that Snapchat, like Twitter before it, will hit a ceiling of 300 million or so regular users. For a private social networking company flush with venture capital cash and an eventual plan to go public, a roadblock to mass adoption poses real risks to its business. 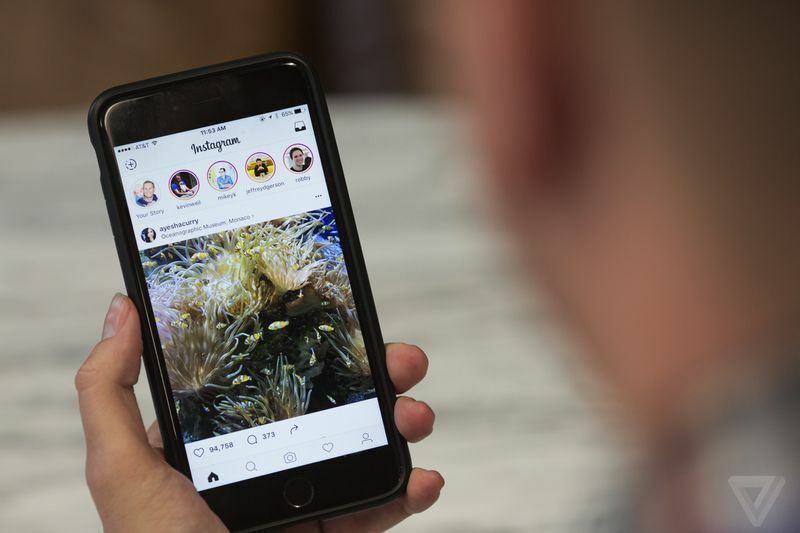 For Instagram, which has an established user base that has learned to appreciate its careful hand-holding, the story feature marks an exciting change. It encourages people to share more — and share more candidly — without worrying that they are crowding the feed with multiple posts. It lets users complement the heavily curated view of their life with one that is more raw. Instagram has both worlds now, and not just one. To combat this, Snapchat may have to reconsider its commitments to the current interface. If competitors like Instagram can just crib every new Snapchat feature and clean up it for a wider reach, its growth could stall. At that point, the question may not be how Snapchat can prevent others from copying its best features, but rather how willing Snapchat may be to copy back.